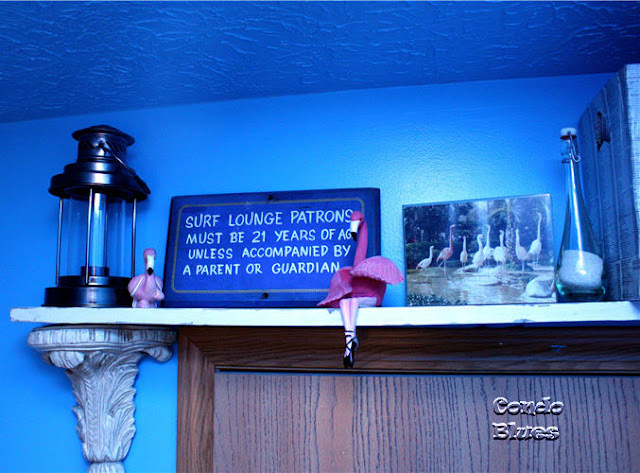 Husband and I need to temporally move into our guest bathroom while we remodel the master bath. The guest bathroom is half the size of the master. 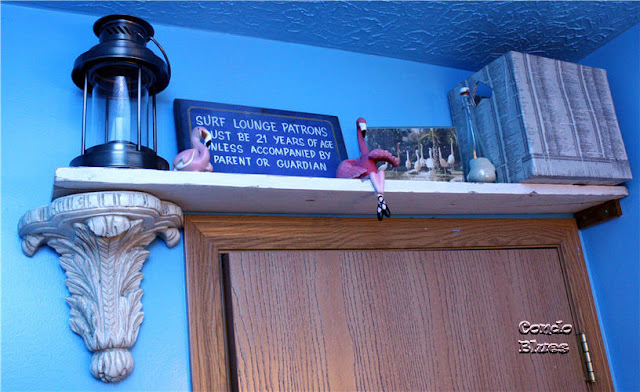 I eked out what storage space I could by building shelves over the door and on the wall over the toilet. 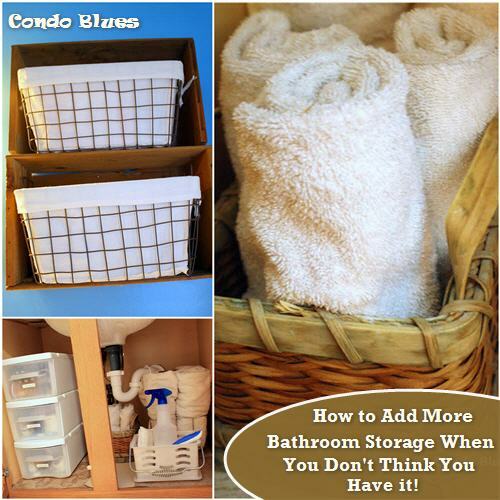 I thought I already maxed out my small bathroom storage space. Pin these storage ideas for later! I need new storage ideas for this room. Fortunately, now is a great time to shop for small space organizers as the Back to College shopping season is hitting stores like At Home. Think about it. A college dorm room is a plain box that has a couple of dresser drawers for clothes, a small closet, and a desk. If a student wants to store more than three drawers worth of clothes for the year they need to bring that storage with them. Since students frequently move house those organizers need to be versatile so they can repurpose them from place to place each year. And I just so happen to be in the same situation because once we finish remodeling the master bathroom, we will remodel the guest bathroom. So exactly how do you find storage space in a tiny space? I’m no expert, but I do have an unhealthy love of keeping things neat and organized because I am too lazy to hunt and dig for stuff. Here are my tips and hacks. Step 1: Ask yourself what do you need this room to do? 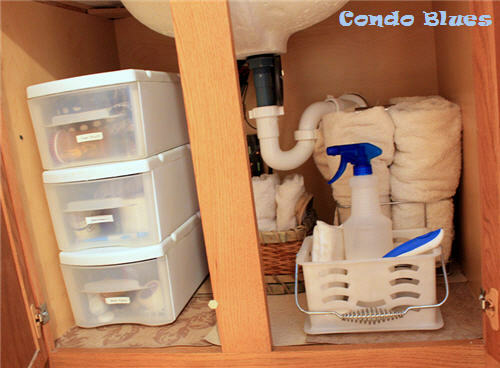 In addition to storing extra towels for guests, cleaning supplies, and a few on deck bulk buys it now has to hold daily health and beauty aids. Step 2: Ask yourself what storage is already working in the space? Step 3: Ask yourself what storage isn’t working in the space? …and look like a hot mess junk pile the next. Especially when I snagged the storage boxes shown here for another part of the house. As much I love round storage baskets, the baskets I have don’t fill and waste storage space in the vanity. The square baskets are working for guest towels. They will stay. Step 4: What storage opportunities are you overlooking in the space? This is where you need to put your thinking cap on and look for what might have been or could be improved “if only….” in your space. There is empty vertical space in the bathroom vanity. If only I had a new vanity with drawers or shelves inside the cabinet. Over the door hooks can add temporary or permanent hanging storage for towels and bathrobes without drilling holes in the door – a concern if you rent. 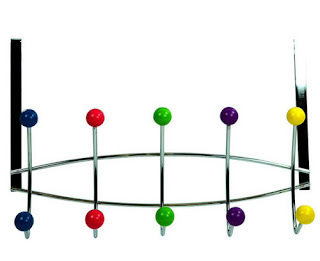 Something like this five hook over the door organizer can easily go from bathroom to closet door and back. I could remove the decor add more storage baskets to the shelf above the door. Since I’m not desperate for bulk buy storage (small condo and all), I’m going to put a pin in this and revisit it when we remodel the guest bathroom. Step 5: Shop for solutions! I added vertical storage space for health and beauty items in the bathroom vanity with three Stacking Drawers. I labeled the drawers with my label maker to keep me honest about putting things back where they belong instead of a "better place" I forget about. I replaced the round baskets with a small spa basket to hold cleaning supplies under the sink. 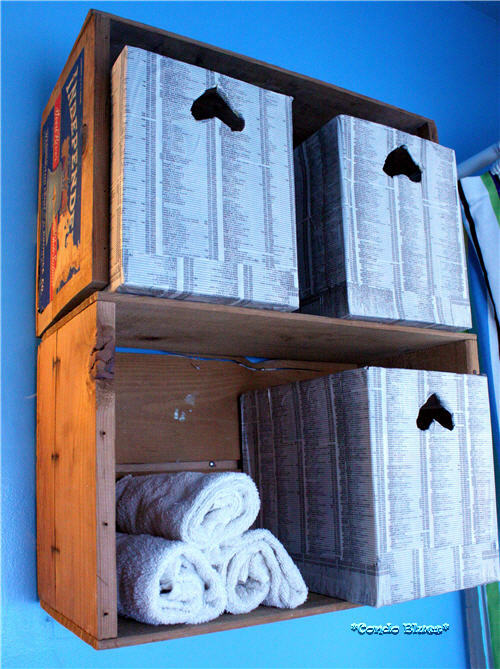 This is one of these college bound pieces you can use as a shower caddy in the dorm and repurpose as storage later in a first apartment. I use old wall paper samples to protect the floor of the vanity from potentially leaking pipes. 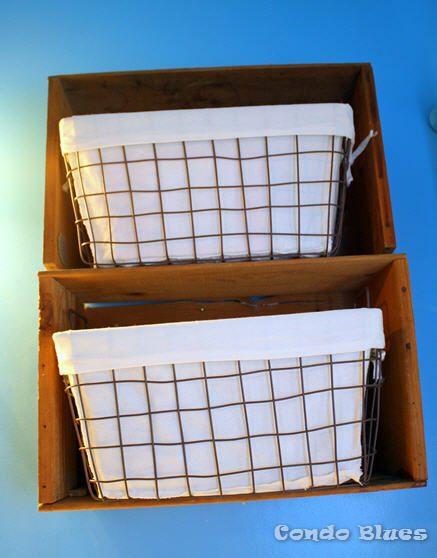 My favorite storage upgrade are the Rectangular Woven Metal Wire Basket with Handles I bought to add storage to and organize the fruit crate shelves. The vintage look of the baskets compliment the actual vintage fruit crates. 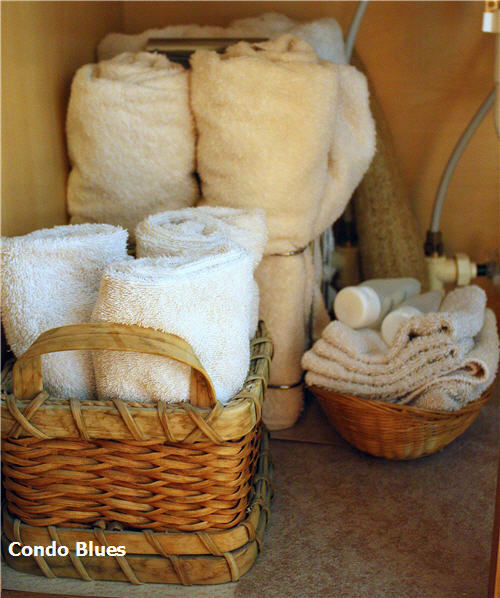 The cloth basket liners make cleaning spills from the baskets simple but more importantly, hide the not so pretty things we use in the bathroom. In this setting they look beach. In other room of the house they could look industrial. I love that! Step 6: Install, Store, and back yourself on the back! You can get more small space storage solutions and ideas if you download and print At Home’s 2016 Back to Campus Planning Checklist to help you organize your small space weather you are heading to college or not!